Glenfield is located to the North West of Leicester, along the A50. All the pictures were taken by members of the Semper Eadem team, unless otherwise stated. To save loading time, we have split the images into different pages. 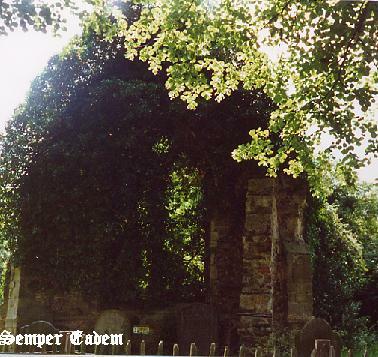 The Ruined church, sitting next to the more recent St Peter's Church, is now almost covered in vegetation. 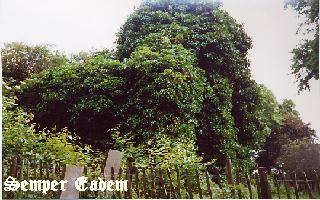 Only a small amount of masonry can now be seen among the leaves. This plaque is located on the old co-operative bakery on Stamford Street. 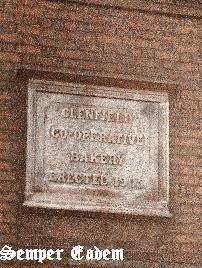 The plaque reads "Glenfield Co Operative Bakery - Erected 1903"